2. Whether Peralta was the subject of an unreasonable seizure that lacked probable cause for purposes of a 42 U.S.C. § 1983 malicious prosecution claim based on the Fourth Amendment. 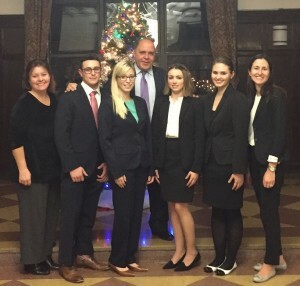 The class, Advanced Appellate Advocacy, is under the direction of Professor Louis Fasulo, coordinated by Professor Alissa Bauer and supported by the team of Professors Jennifer Arlin, Elyse Moskowitz and Danielle Shalov. 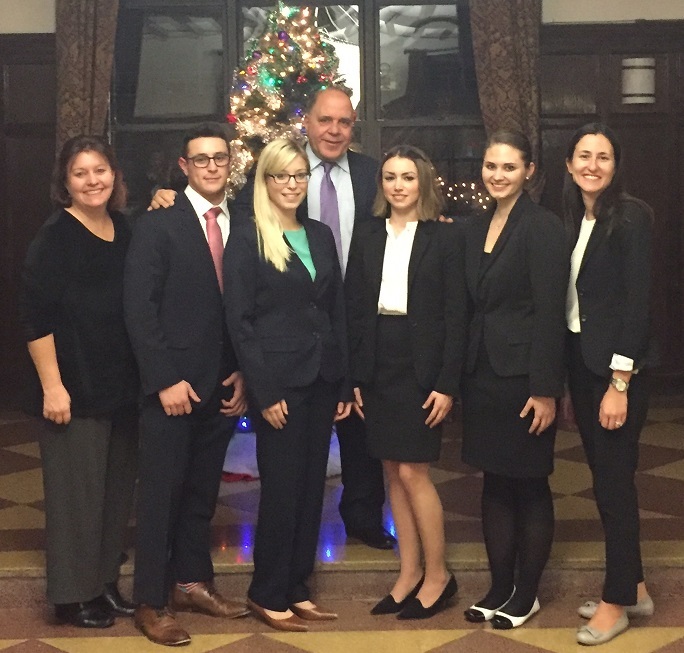 The Professors guided the students throughout the fall semester in writing their appellate briefs and preparing for oral arguments. The students were presented with challenging questions from enthusiastic and lively panels of experienced Judges and attorneys. The comradery of the competition provided for a stimulating day. During Sunday’s preliminary rounds one and two, the top 43 students argued twice. After lunch, 20 students advanced to third round arguments. The intensity of the competition increased during the fourth and fifth rounds, as only 8 students advanced to argue. Congratulations to the top 8 competitors: Angelica Cancel, Samantha Hazen, Alex Lowell, Sarah Main, Jordan Montoya, Andrea Osgood, Daniela Parra and Kirsten Yerger. The remaining students argued well in the final rounds, making it difficult for the Judges to choose only 4 students. Nevertheless, this year’s top 4 finalists are: Sarah Main in first place, Andrea Osgood in second place, Samantha Hazen in third place and Alex Lowell in fourth place. 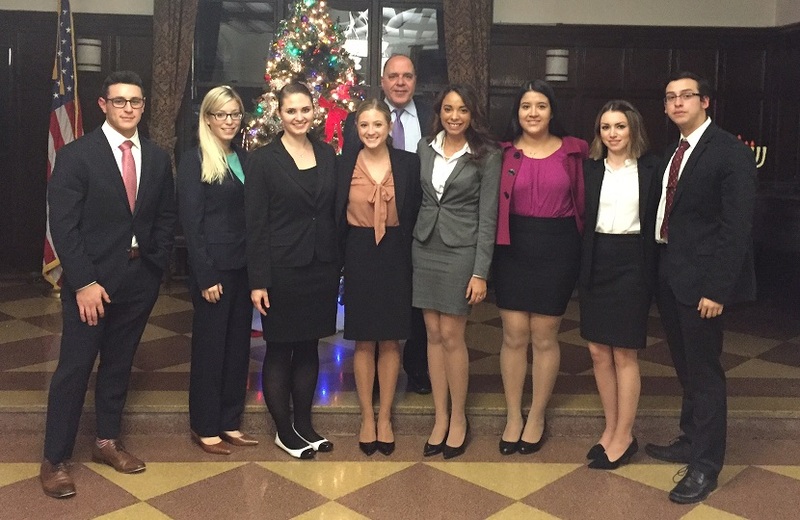 These top 4 finalists will now advance to the Grand Moot Court Competition on March 31, 2016, hosted at Pace Law School, and argue before a panel of Federal Court Judges. 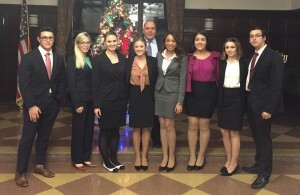 The top 3 finalists from the Grand Moot will then have the honor of competing in the New York City Bar’s National Moot Court Competition, and the fourth finalist will compete at the prestigious Dean Jerome Prince Evidence Moot Court Competition. Special Thanks to: Advocacy Administrator Loretta Musial, Advocacy Program Director and Professor Louis V. Fasulo, the guest Judges, the Advanced Appellate Advocacy Professors for their work with the class and for supporting the students at this event, Dean David Yassky, Chartwell Food Services for providing refreshments throughout the day, Pace Law Advocacy Honor Board Directors: Cassandra Castellano, Brianne Cunningham, Vittoria Fiorenza, Hanna Shoshany, Michael Giordano, W. Paul Alvarez and Michael Pesin-Virovets, along with Board Members: Katie Ehrlich, Rana Marie Abihabib and Matthew Mannis, who all once again managed an excellent competition. Congratulations to Sarah Main, Andrea Osgood, Samantha Hazen and Alex Lowell on this impressive achievement! We look forward to watching your arguments this Spring! Next How do you use Google Maps?